Several languages — in Europe, notably Russian and Irish — make important use of the distinction between palatalized and nonpalatalized consonants. The palatalized ones are traditionally termed ‘soft’ in Russian, ‘slender’ in Irish, while their non-palatalized counterparts (which may also be labialized and/or velarized) are termed ‘hard’ and ‘broad’ respectively. Published with the m.f. of a hundred years ago (yesterday’s blog) there was an appendix entitled Court exposé de la prononciation russe, by L. Ščerba. It is noteworthy that as early as 1911 this account makes reference to ‘phonemes’ (or rather the same term in French), which I think must be one of the earliest uses of this term in print. In non-IPA phonetic notation there is a tradition among experts of both Slav(on)ic and Celtic of using a postposed acute accent to show palatalization. The IPA, however, has reserved that symbol for other uses and has, over the years, explored other means of showing palatalization. Ščerba writes the palatalized consonants with a superposed dot. This convention was formalized in the 1912 edition of The Principles of the International Phonetic Association. Just as retroflex articulation was indicated by a dot beneath, so palatalization was shown by a dot above. Accordingly Ščerba’s version of the North Wind and the Sun in Russian looks like this (click to enlarge). You may also be interested to see the orthographic version, which includes the letter ѣ, abolished in 1917, and many instances of the letter ъ which were dropped in the same post-revolution spelling reform. The word for ‘wind’, вѣтеръ in this text, is now written ветер. By 1917, when Jones and Trofimov completed the manuscript of their Pronunciation of Russian (CUP, 1923), DJ had decided to go instead for a j-shaped hook to show palatalization. So the word for ‘stronger’ then appeared as ᶊɪᶅˈᶇei. In the 1949 edition of the Principles Jones also demonstrates a digraphic solution to the question of notating palatalized consonants. However this required complicated conventions regarding the precise extent palatalization in consonant clusters, and in Jones and Ward The phonetics of Russian (CUP, 1969) we again find monographic representation of the palatalized consonants, using the j-shaped hook. This is also shown as an alternative usage for the first two lines of the specimen in the 1949 Principles. In the pre-computer and early computer eras both superposed dots and attached hooks presented typological typographical problems. This led the IPA at its Kiel Convention (1989) to abandon these earlier notations and to adopt instead the current convention for palatalization, which is a postposed raised j, thus sʲɪlʲˈnʲei . Here are two scans from the Maître Phonétique, the IPA’s official journal, of a hundred years ago. They are transcriptions of the North Wind and the Sun story, made by E.H. Tuttle, and were published in the issue of the m.f. dated Sep-Oct 1911. The phonetician Edwin Hotchkiss Tuttle (1879-?) was one of the founder members of the Linguistic Society of America, and a frequent contributor to the m.f..
What makes each of these scans particularly interesting as historical documents is Daniel Jones’s handwritten note alonɡside. At the time the IPA used an acute accent to show a particularly tense vowel, a grave accent to show a particularly lax one. So the ɔ́ə of north, warm must imply greater initial tensity than for the ɔː of stronger, along, while the ií of agreed and the uú of blew imply greater tensity in the second part of the vowel. Compare Wikipedia’s account of current Baltimore speech. The subscript dots in ḍɪspjuútɪŋ, ṭeɪk, fə̣ːst indicate retroflexion (= modern ɖ, ʈ, ɚ). In the first two cases they represent progressive assimilation following ɹ — a phonetic detail I do not remember having seen discussed anywhere. I have not previously seen any reference to the possible elision of w from wəz was. Do we still have this in AmE? The note about “ðə fɔ́ɹm ʃoʊn” refers to shone, the past tense of shine (nowadays BrE ʃɒn, AmE ʃoʊn). Evidently the New Englanders of the time, perhaps embarrassed by the BrE/AmE difference, simply avoided the form. I was in a committee meeting over the weekend at which — amongst many other topics — we were discussing how much we ought to pay a visiting speaker. What sort of honorarium should we offer? I noticed with interest and surprise that the person who introduced this topic pronounced the word as ˌhɒnəˈreəriəm, with an initial h-sound. I’ve always myself said this word as ˌɒnəˈreəriəm , without h, just like its congeners hono(u)r, hono(u)rable, honorary, honest etc, and I assumed that that was what everyone said. But a quick straw poll when we were having coffee afterwards showed that four out of the ten people present said they preferred the pronunciation with h. This variant is not recorded in any dictionary that I know of. I suppose we can relate it to the fact that h is silent in heir and heiress but not in the etymologically linked inherit, heredity and heritage. Perhaps some speakers do not ‘feel’ the etymological link between honorarium and the other hono(u)r(-) words, so that there is less pressure to treat them all identically. Added to that there is the understandable tendency to use a spelling pronunciation for any word that may be relatively unfamiliar, or first encountered in writing rather than in speech. Yesterday’s discussion of classical Greek led me to thinking about the somewhat parallel cases of Swedish and Norwegian. They too have two kinds of pitch accent on the stressed syllable of words of more than one syllable. The two pitch accents are lexically distinct. Description of the difference between the two is complicated by two factors: (i) dialectal differences, and (ii) the interplay with intonation (sentence accent). Generally speaking, the compound tone has a more complex pitch realization than the simple one does. You will find a good example of this problem if you listen to the sound recording provided with the Wikipedia article about Swedish phonology. Not only is the pitch accent difference often hard to describe succinctly, its notation is controversial. Although it is pretty standard to write the simple tone with a simple stress mark, the IPA has no firm guidance on how to notate the compound tone. In the 1949 edition of the IPA Principles, and in his book The Phoneme: its Nature and Use, Daniel Jones wrote the compound tone as I have done above, namely by placing [ˇ] where otherwise there would have been an ordinary stress mark [ˈ]. Furthermore, in the case of Swedish, the Principles booklet writes a grave accent [ˋ] before the syllable where the second (unstressed) falling tone is located, in cases where two or more syllables follow the stress. 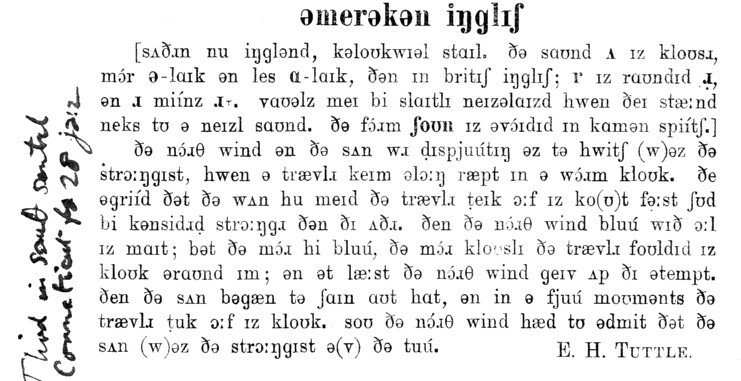 So nordanvinden ‘the north wind’, where the stress is on the initial syllable, is transcribed ˇnuːɖanˋvindən. The IPA’s 1989 Kiel Convention changed the meaning of the symbol [ˋ] from ‘falling tone’ to ‘low tone’. Nevertheless, the 1999 IPA Handbook still makes use of this grave accent to denote the Swedish compound tone. Now, however, the mark goes over the vowel of the stressed syllable, with the location of the second fall shown by a secondary-stress mark, thus ˈnùɖanˌvɪndən. How (if at all) this squares with the revised meaning of the grave accent is not discussed. Wikipedia writes the Norwegian pitch accents as à and â respectively. For Swedish it starts off with a very complex notation, but in the transcriptions of the North Wind and the Sun passage appears simply to ignore the distinction (ˈnuːɖaɱvɪnˌdən). I'd like to ask you a question about using IPA alphabet for transcribing Ancient Greek. The Wikipedia has a recommended set of symbols for use on its pages, but I do not get one thing — how to correctly mark the tone and stress. Does /àá/ for a diphthong or long vowel, e.g. η or ηυ, mean that if accented it needs to be transcribed as ɛ̀ɛ́ and ɛ̀ːú̯? The Wiktionary has a different system… Ἀχιλλεύς is akʰilːe͜ʊ́s, but I keep thinking that the tone and stress marks should be on both vowels of a diphthong, i.e. akʰilːè͜ʊ́s. How does one correctly notate the tone and stress in Ancient Greek words? I think it depends on how explicit you want to be. In languages that have only two tones, high vs low, as Ancient Greek did at the level of the mora, it is sufficient to show high tones and leave low tones unmarked. As I understand it, a diphthong or long vowel written in classical Greek with an acute accent had a low tone on the first mora, a high on the second. Transcribed fully this would require a low tone mark on the first vowel symbol, a high tone mark on the second. However it would be unambiguous to write it just with a high tone mark on the second symbol. A diphthong or long vowel written with a circumflex (perispomenon) had a high tone on the first mora and a low on the second, producing a compound tone. Transcribed fully this would require a high tone mark on the first vowel symbol, a low tone mark on the second. But it could also be written unambiguously just with a high tone mark on the first. Short vowels are straightforward: if written in classical Greek with an acute accent they were high, otherwise low. According to Allen, the Greeks appreciated the fact that there is no need to mark most low tones. In one early system of marking, every low tone was indicated by the grave accent-mark — e.g. Θὲόδὼρός; but such a practice was clearly uneconomical and inelegant, and was later replaced by the current (Byzantine) system whereby only the high and compound tones are indicated (by the acute and circumflex symbols). The grave symbol was, however, then substituted for an acute where this occurred on a final mora (‘oxytone’ words), except in the case of interrogatives (e.g. τίς) or when followed by an enclitic or pause — thus ἀγαθός ἐστιν, ἔστιν ἀγαθός·, but ἀγαθὸς ταμίας. In modern Greek it’s straightforward: the ancient accents have become simple word stress. Correspondingly in modern spelling the three marks of ‘polytonic’ notation, ὰ ά ᾶ, have been collapsed into a single ‘monotonic’ mark, ά. It is all the more dismaying, then, to have to report two phonetic symbols that are wrongly set, and not just once. Fortunately they are used in the preliminary matter (which is nearly three hundred pages long), not in the body of the dictionary. The other error concerns the familiar symbol ʊ, the lax close back rounded vowel of English foot fʊt and German Bucht bʊxt. This is fine when on its own. The corresponding non-syllabic symbol is not required in dictionary’s transcription of the standard German of Germany, since — as we have seen — the diphthong of Haus is transcribed not as aʊ̯ but as aɔ̯. In the discussion of Austrian pronunciation, however, the dictionary reports (p. 238) that the diphthong of Haus can be [ao̯] or “[aʋ̯]”. That is, it represents the second part of the latter diphthong with the symbol that properly stands for the voiced labiodental approximant, ʋ, plus the non-syllabic diacritic. This “[aʋ̯]” reported for Styria and western Austria, and optionally for die gehobene Standardaussprache (elevated standard pronunciation), ought to be [aʊ̯]. Where the same symbol is required in the discussion of Swiss diphthongs (p. 263), it is correctly set as [aʊ̯]. 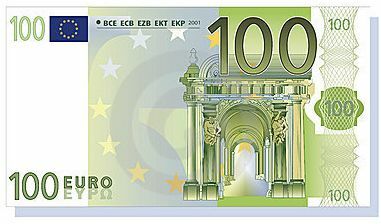 It is also correct in the body of the dictionary, where Eusebio is given (without discussion) as “span. ɛʊ̯sˈeːbi̯oː” and Eusébio as “port. ɛʊ̯zˈɛːbi̯uː”. So it seems likely that the error is down to the contributor responsible for the Austrian section, named as P. Wiesinger. But why didn’t some editor pick it up? [ɤ] and [ʊ] stand for vowels, [ɣ] and [ʋ] for consonants. People who live in glass houses… the first edition of my LPD somehow didn’t include the word marathon. I’m sure the DA will get its nuts sorted out when there’s a new edition. Like many other modern languages, contemporary German is full of borrowed English words. And a pronouncing dictionary needs to contain plenty of proper names, including English ones. The Deutsche Aussprachewörterbuch (yesterday’s blog) transcribes these not as they are pronounced in the source language English, but as they are pronounced (or perhaps rather as they ought to be pronounced, in the authors’ view) in German. This means that in principle they are transcribed using only the sounds of German and ignoring distinctions that are not made in German. In particular, the English TRAP and DRESS vowels are both mapped onto German ɛ. The STRUT vowel is mapped onto a. Final obstruents are devoiced. The NURSE vowel is mapped onto œːɐ, and English w onto v.
The authors are well aware that this is not how the words are pronounced in English. In the foreword (p. 138) they compare the English version of Buckingham Palace, bˌʌkɪŋəm pˈæləs, with the germanized bˈakɪŋəm pˌɛləs (and similarly with several other examples). So for example Southampton is germanized not as zaɔ̯sˈɛmptn̩, but as saɔ̯θˈɛmptn̩. 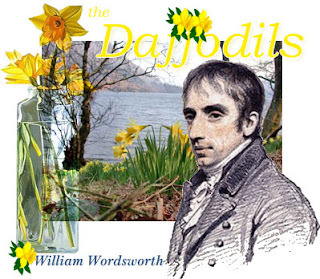 See also Wordsworth above. Sometimes the label “engl.” really seems to be of etymological relevance only. I’ve acquired a copy of a newly published German pronunciation dictionary, Deutsches Aussprachewörterbuch (De Gruyter, 2010). Four main authors are credited: Eva-Maria Krech, Eberhard Stock, Ursula Hirschfeld, and Lutz Christian Anders, along with a host of other minor contributors and advisors. This is a massive work, over a thousand pages in length, with each page having about double the area of a page in the dictionary that I have relied on until now for German, Max Mangold’s Duden Aussprachewörterbuch (6th edition 2005). It will take me some time to work through the 280 pages of introductory material, which include not only a comprehensive introduction to standard German pronunciation (Standardaussprache, this term replacing the earlier allgemeine Hochlautung) but also chapters on standard Austrian and Swiss pronunciation. Meanwhile, here are just one or two preliminary impressions. Separate symbols are used for the devoiced lenis obstruents b̥ d̥ ɡ̊ v̥ z̥ ʒ̊ ʝ̊, so that for example the plosive in Hausbau hˈaɔ̯sb̥aɔ̯ is distinguished both from that of Post pɔst and from that of Bahn baːn. The aspiration diacritic, however, is not used — the symbol p is presumably to be interpreted as normally implying pʰ (though the authors say merely that aspiration is möglich ‘possible’). As you can see in this example, diphthongs are transcribed rather fussily, as aɔ̯ aɛ̯ ɔœ̯, (arguably too fussily, given the variability in the quality of the second element). Tomorrow: the treatment of eingedeutscht (germanized) English words. What’s a glomerulus? I imagine most of us would have to confess that this word is not part of our vocabulary, unless we have a particular interest in disorders of the kidney. According to the Concise Oxford Dictionary, a glomerulus is ‘a cluster of nerve endings, spores, or small blood vessels, esp. of capillaries at the end of a kidney tubule’. Wikipedia explains it more succinctly as ‘a capillary tuft that performs the first step in filtering blood to form urine’. More relevantly for today’s blog, how do we pronounce this word? It’s not in LPD or CPD. But COD tells us that it is ɡlɒˈmɛr(j)ʊləs. ODP, from the same stable, agrees, while using its special weak-vowel symbol ᵿ (U+1D7F, LATIN SMALL LETTER UPSILON WITH STROKE), which your browser may or may not be able to display. Why the bracketed (j)? Why is the palatal element optional or variable? There’s something awkward about the sequence rj. We long ago dropped the yod that presumably once existed in words such as rude (rɪud → rjuːd → ruːd), brew, true and so on, where the vowel is strong. The awkwardness arises in words where the vowel is weak. The yod tends to be preserved in weak syllables. The two best-known words that exemplify it are virulent and garrulous. In the case of virulent, both LPD and EPD prefer the yodless ˈvɪrʊlənt for BrE, while also listing variants with -jʊ-, -jə- or -ə- between the liquids. For garrulous they both prioritize ˈɡærələs, but aɡain also admit variants with a yod. Introspecting, I feel that in slow careful deliberate speech I want to include a j in these two words, and hence by extension in glomerulus. But in faster or less studied speech it’s too much of an effort to articulate the rj sequence, so I drop the yod. Strangely, this does not apply if the -rj- derives from the compression of ri-, as in disyllabic glorious, merrier, variant. (See this blog for 16-17 January 2007.) In cases like these there is no tendency whatever to omit the palatal element. I am learning phonetics right now […]. I have a question for you: what is the phonetic difference between a voiceless [b̥] and an unaspirated [p] (as in Spanish pájaro)? I think that there is no phonetic difference between the two. If there is no difference between the two, then why do people ever use the symbol [b̥], when [p] is less complicated and means the same thing? Is this only for phonological reasons? I have looked through many linguistics books and I have not found a clear answer to this seemingly simple question. Voiceless [b̥] is "lenis", whereas [p] is "fortis". Lenis plosives have less intraoral pressure than fortis ones. See Wikipedia, or see my Longman Pronunciation Dictionary (3rd ed.) p. 881. The difference is easily noticed in the English pair "touched" vs. "judged" (said in isolation). The final consonants are pronounced without vocal fold vibration in both cases. But the fricative component of the affricate in "touched" is much noisier (more turbulent) than that of the affricate in "judged". I might have added that this is presumably because in devoiced lenis obstruents the vocal folds adopt the ‘whisper’ position, i.e. are narrowed, unlike the wide open position that they adopt for fortis obstruents. This reduces the flow of air and therefore reduces the amount of turbulence. In English the fortis/lenis contrast is usually reinforced by other factors. Syllable-initially, before a strong vowel at least, fortis plosives have aspiration, while lenis plosives don’t. Even with fricatives there is a clear difference in VOT. Syllable-finally, fortis obstruents trigger pre-fortis clipping (duration reduction) in the preceding vowel (and sonorant, if there is one), and again lenis ones don’t. Between voiced sounds such as vowels, fortis obstruents have no voicing (always excepting AmE-style /t/), while lenis ones generally have voicing. Since the presence vs. absence of aspiration is perceptually and instrumentally more salient than force of articulation itself, Spanish-style unaspirated initial p can easily be confused with English initial b in a word in isolation. In some languages (Icelandic is a good example) all plosives are voiceless, but there is a clear contrast of fortis vs. lenis. See here. In my blog I last touched on the topic of fortis and lenis over four years ago, on 4 April 2007. That was before readers could leave comments. Now you can. If someone tries to sell you or your organization software purporting to be able to detect from a person’s voice whether they are lying or not, don’t fall for it. No time for a proper blog posting today, so I refer you instead to Language Log for an interesting update on this whole issue. The pronunciation of surnames in Mc- or Mac- is sometimes quite difficult to predict from the spelling. These thoughts are prompted by the name McElderry, which I give in LPD as ˈmæk əl ˌder i or ˌ••ˈ••. 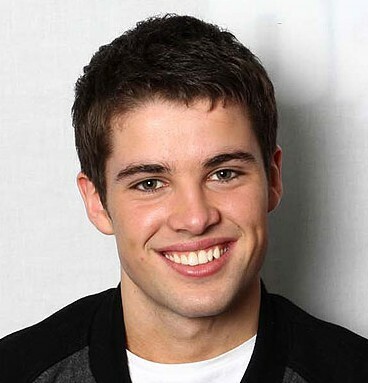 But the winner of the 2009 X Factor television show, Joe McElderry (pictured), calls himself məˈkeld(ə)ri. • but before k or g it is reduced to mə, thus McCarthy məˈkɑː(r)θi, McCorquodale, McGill, McGonagall, McQueen. For what it’s worth, the etymology of McElderry, according to the Dictionary of Surnames (ed. Hanks and Hodges), is Mac Giolla Dhorcha ‘son of the dark-haired lad’. Why are McIlwain, McIlwraith, McIndoe, McIntyre stressed on the ˈmæk-, while McInnes is stressed on the -ˈɪn-? Why can McElroy and McElwain, not to mention McGillycuddy, go either way? Although these surnames are now to be found throughout the English-speaking world (Joe the singer is a Geordie), the explanation of their stress patterns presumably lies in Gaelic phonetics, and perhaps in particular in dialect differences within Irish/Scottish Gaelic. Can any reader enlighten us? This is a feature of some people's pronunciation that we call Plosive Epenthesis. 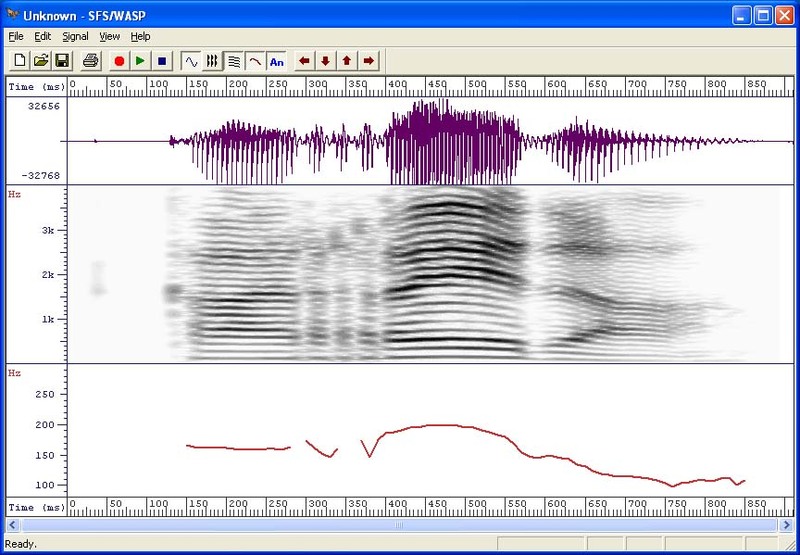 There is a discussion in my blog for 27 Jan 2009.
the same syllable (as I analyse syllables). (2) Insertion of a « t » between « n » and « s », or of « d » between « n » and « z », e.g. « fents » for « fens » (fence), « ˈfrendzi » for « ˈfrenzi » (frenzy). It is not until Roach took over as editor that we find -nts explicitly in entries in the body of the book. Kenyon & Knott, too, in their Pronouncing Dictionary of American English (1944) mention epenthesis only in their Introduction, under Addition or Omission of Consonants (p. xliv). Presumably this necessarily makes mince a homophone of mints, giving rise to all those jokes about ‘one day my prints will come’. Few RP speakers regularly maintain the distinction between /ns/ and /nts/ which is widespread in regional speech, e.g. distinguishing the final clusters in mince—mints, tense—tents, assistance—assistants, dance—plants, /nts/ tending to be used in all cases. [When I] have to explain Epenthesis. I usually resort to my own home-made explanation: “When a nasal sound is followed by a voiceless fricative, a voiceless plosive which is homorganic to the nasal may be included between them.” Then I point out a few exceptions, comment briefly on the possibility of epenthesis before a voiced sound and that’s about it. 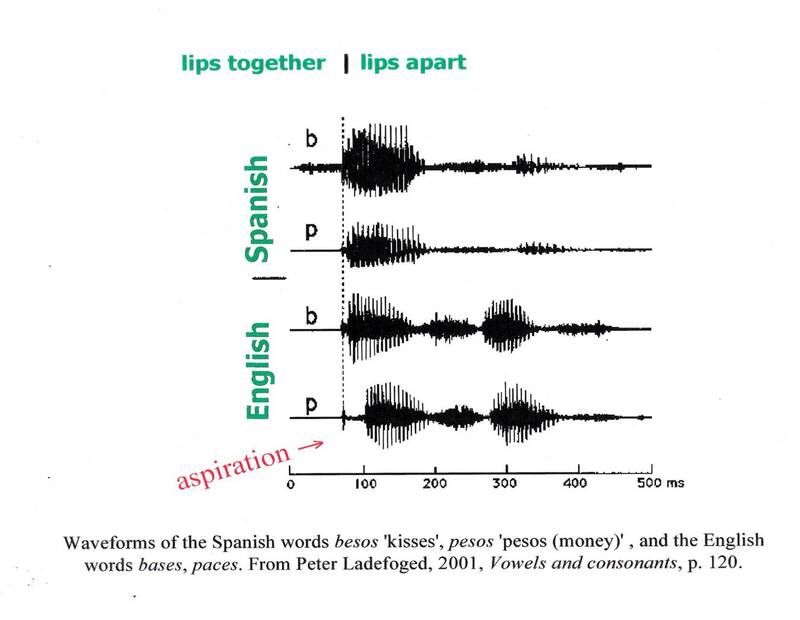 Mariano was correct to make the generalization that plosive epenthesis happens (for those who use it) when ANY nasal is followed by ANY voiceless fricative, though only in certain syllabification environments. In my 2009 posting I mentioned fen(t)s, ˈkɒn(t)ʃən(t)s, ˈhʌm(p)fri, ˈgæŋ(k)stə (fence, conscience, Humphrey, gangster). So the nasal can be labial or velar as well as alveolar; the fricative can be any of f θ s ʃ. In the examples just given the nasal+fricative sequence (or cluster) is always word-final or followed in the next syllable by a weak vowel: that is, these are cases where, in my syllabification analysis (which I know some people disagree with), the nasal+fricative cluster is syllable-final. In LPD I do not allow for epenthesis in words where (in my analysis) there is a syllable boundary between the nasal and the fricative, e.g. ˌɪnˈsaɪd, kənˈsɪdə (inside, consider): I took the view that this absolutely blocks epenthesis. Interestingly, epenthesis DOES occur in cases such as warmth wɔːm(p)θ and Benson ˈben(t)sn̩, despite the presence of a morpheme boundary between the nasal and the fricative. Similar epenthesis may occasionally take place [in other cases] e.g. confusion /kəmp`fjuːʒn/, convert /kəmb`vɜːt/ (=[kəɱb`vɜːt]), anthem /`æntθəm/ (=[`ænt̪θəm]), mansion /`mæntʃən/. The last two examples are fine, but I don’t believe epenthesis is a regular (or even an occasional) possibility in the first two. It seems to me that the undoubted syllable boundary between the nasal and the fricative in confusion blocks (or at least strongly disfavours) epenthesis there, just as in inside or beanstalk. This applies a fortiori in the case of convert, where the fricative is not even voiceless. The awards for 2011 have just been announced. 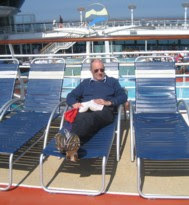 This year there are ten of them, and I’m delighted to be able to report that one of them, in the category Experienced Academic Staff, has gone to my fellow-phonetician Michael Ashby. Upon my retirement five years ago Michael took over the running of UCL’s MA Phonetics programme and also the directorship of the UCL Summer Course in English Phonetics. One of the earliest blog entries I wrote, for 31 March 2006, was about a presentation Michael gave at a Teaching and Learning Conference. Here’s what I said. Michael Ashby’s presentation at the Teaching and Learning Conference yesterday was excellent. As well as explaining the kinds of things we do in practical phonetics classes, he demonstrated various interactive bits of classroom technology. One demonstration involved getting a member of the audience (José Mompeán, planted there for the purpose) to pronounce into a radio microphone the Spanish word carrera [kareɾa], in which there is first a trill and then a tap. Seconds later we heard it played back and saw its waveform and spectrogram displayed on the big screen, using Mark Huckvale’s brilliant little free programme WASP. We could clearly see four interruptions for the trill and a single interruption for the tap. Michael also demonstrated, live, the labiodental flap with its new symbol. And he showed how the teacher can use a graphics tablet to annotate Powerpoint slides, for example in immediate response to student questions or to compare and contrast while doing ear-training. Warmest congratulations to Michael on a well-deserved award. 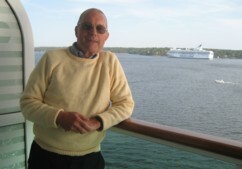 Just after I got back from the cruise I fielded a phone call from a journalist working for the Economist magazine, who wanted to discuss with me whether English accents are changing, and if so how fast. After ten minutes’ chat I told her she ought to talk to Paul Kerswill, and that’s just what she did. The results duly appeared in the current issue of the magazine. More impact (in UK govt parlance). Here's what an evening spent with an old Corel Photo House programme and a bit of pure speculation can produce. I take full responsibility for any inaccuracies of course, but don't get back to me until 2030! He was referring to the maps you see above (click to enlarge). Two days later, the Sunday Times took up the story. It’s not over yet. Today it’s the Daily Mail that has taken it up. and so it goes on. Better run away for a bit. I don't do Geordie, honest. in which the demise of regional accents is predicted and "Academics at Lancaster University" are referenced. 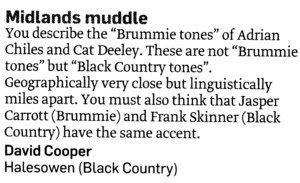 Perhaps Paul Kerswill has been used to justify both the strengthening and weakening of regional accents at different times in the same newspaper. One amusing mistake I've noticed on the 2030 map is that Scouse appears to be lost in Liverpool and confined to the Wirral! wenzdiz blɒɡ-ɪn-fənetɪk-trænskrɪpʃn siːmz tu əv biːn wel risiːvd. pəhæps aɪ ʃʊd duː ðəm mɔːr ɒfn. Beatrice Portinari, raɪtɪŋ frəm speɪn, wəz ɪnθjuːziæstɪk bət sed ʃi hi mɪst ðə stres mɑːks. ðɪs reɪzɪz ən ɪntrəstɪŋ kwestʃən. wɒt ɪz ən əprəʊpriət stres mɑːkɪŋ wen wi trænskraɪb ə kənektɪd tekst? wɪə diːlɪŋ hɪə wɪð kənektɪd spiːtʃ, nɒt wɪð wɜːdz ɪn aɪsəleɪʃn. ðə stres ʃəʊn ɪn dɪkʃnriz rileɪts tə ðə lætə, nɒt ðə fɔːmə. 1. ɪf wi dʒʌst ˌriprəˈdjuːs wɜːd stres əz ʃəʊn ɪn ˈdɪkʃnriz, wi ˈsɪəriəsli ˌmɪsrepriˈzent ðə ˈneɪtʃər əv kənˈtɪnjuəs spiːtʃ. ɪn pəˈtɪkjələ, ˈmɒnəˌsɪləblz riˈsiːv nəʊ stres mɑːks. ði ˈəʊnli wɜːdz ðət duː ɡet stres ˈmɑːkɪŋ ɑː ˈpɒliˌsɪləblz. səʊ lets æd stres mɑːks tə ðə mɒnəsɪləblz. bət nɒt tu ɔːl əv ðəm — dʒʌst tə ðə kɒntent wɜːdz, nɒt ðə fʌŋkʃn wɜːdz. wiːl hæv tə meɪk ə sensɪbl dɪsɪʒn əbaʊt wɜːdz ðət ər ɒn ðə bɔːdəlaɪn bitwiːn ðə tuː — wɜːdz laɪk “dʒʌst”. 2. ...ɪf wi ˈdʒʌst ˌriprəˈdjuːs ˈwɜːd ˈstres əz ˈʃəʊn ɪn ˈdɪkʃnriz, wi ˈsɪəriəsli ˌmɪsrepriˈzent ðə ˈneɪtʃər əv kənˈtɪnjuəs ˈspiːtʃ. ɪn pəˈtɪkjələ, ˈmɒnəˌsɪləblz riˈsiːv ˈnəʊ ˈstres ˈmɑːks. ði ˈəʊnli ˈwɜːdz ðət duː ˈɡet ˈstres ˈmɑːkɪŋ ɑː ˈpɒliˌsɪləblz. bət ðɪs ɪz stɪl nɒt ɡʊd. wi niːd tə rimuːv ðəʊz stres mɑːks ðət duː nɒt ɡet trænzfɔːmd ɪntu æksnts, ðæt ɪz wɪtʃ duː nɒt risiːv pɪtʃ prɒmɪnəns ɪn kənektɪd spiːtʃ. • sʌm əv ðɪs ɪz leksɪkl. wi məs rimuːv ðə stres mɑːk ɒn ðə sekənd elɪmənt əv kɒmpaʊndz. • sʌm ɪz præɡmætɪk. wi kən rimuːv ðə stres mɑːks ɒn ripiːtɪd wɜːdz, nɒnkəntrɑːstɪv wɜːdz et setrə. bət wi niːd tu æd ðəm tə fʌŋkʃn wɜːdz juːzd kəntrɑːstɪvli. • sʌm ɪz ruːl ɡʌvnd. wi kæn (tu ə diɡriː ɒpʃnəli) ʃɪft stres mɑːks ɪn əkɔːdns wɪð ðə prɪnsɪpl əv “stres ʃɪft” əfektɪŋ wɜːdz wɪð mɔː ðn wʌn leksɪkl stres. 3. …ɪf wi ˈdʒʌst ˈriprədjuːs ˈwɜːd stres əz ˈʃəʊn ɪn ˈdɪkʃnriz, wi ˈsɪəriəsli ˈmɪsrepriˈzent ðə ˈneɪtʃər əv kənˈtɪnjuəs ˈspiːtʃ. ɪn pəˈtɪkjələ, ˈmɒnəsɪləblz riˈsiːv ˈnəʊ stres mɑːks. ði ˈəʊnli wɜːdz ðət ˈduː ɡet stres mɑːkɪŋ ɑː ˈpɒlisɪləblz. jul nəʊtɪs ðət aɪv nɒt əʊnli ʃəʊn stres (æksnt) ɒn əprəʊpriət mɒnəsɪləblz, bət aɪv ɔːlsəʊ teɪkən əkaʊnt əv stres ʃɪft. wiv naʊ riːtʃt ə steɪdʒ kɒrəspɒndɪŋ tə wɒt wi ɑːsk stjuːdnts tə duː wen ðeɪ trænskraɪb ə pæsɪdʒ əv kəntɪnjuəs ɪŋɡlɪʃ. haʊevə ðɪs ɪz stɪl əʊnli hɑːf ðə stɔːri. nɒt ɔːl æksnts ər iːkwəl. kənektɪd spiːtʃ ɪz kærɪktəraɪzd baɪ ɪntəneɪʃn. lets mɑːk ðæt tuː. fɜːst steɪdʒ — divaɪd ɪntu aɪ piːz (ɪntəneɪʃn freɪzɪz). ðɪs miːnz wi kən ɡet rɪd əv pʌŋktʃueɪʃn mɑːks. ðæts maɪ aɪdɪər əv ə riːznəbli fʊl prəsɒdɪk trænskrɪpʃn. ðər ə wʌn ə tuː ɪmpɔːtnt pɔɪnts tə bi meɪd. • ðər ə mʌltɪpl pɒsəbl æksnt ən ɪntəneɪʃn pætnz tə tʃuːz frɒm. ðə mɑːkɪŋ aɪ həv tʃəʊzn ɪz əʊnli wʌn əmʌŋ sevrəl pɒsəbl plɔːzəbl vɜːʃnz. • ɪn səplaɪɪŋ ə fʊl ɪntəneɪʃn mɑːkʌp aɪ əm ɔːlsəʊ tʃuːzɪŋ tə pəfɔːm ðə tekst ɪn ə pətɪkjələ weɪ. • ə tekst wɪðaʊt stres ~ æksnt ~ ɪntəneɪʃn mɑːkʌp ɪz mɔː laɪk ən ɔːθəɡræfɪk tekst — ɪt liːvz ðə riːdə friː tə tʃuːz ən əprəʊpriət prəsɒdɪk pætn. fɔːtʃənətli ɪŋɡlɪʃ hæz veri fjuː mɪnɪml peəz dɪfərɪŋ ɪn leksɪkl stres ələʊn. səʊ fər ɔːdnri pɜːpəsɪz (laɪk ðɪs) wi rɪəli dəʊnt niːd tə juːz stres mɑːks wen trænskraɪbɪŋ ə kəntɪnjuəs tekst — ənles wɪə pətɪkjələli ɪntrəstɪd ɪn ðə prɒsədi. fə ðə lɑːs tuː wiːks aɪv biːn kʌt ɒf frəm ɪntənet kɒntækt. ðə riːzn ɪz ðət aɪv biːn ɒn hɒlɪdeɪ, ɪn fækt ɒn ə kruːz tə ðə bɔːltɪk. kruːzɪŋ meɪks fər ə veri rilæksɪŋ hɒlɪdeɪ. ɪts laɪk steɪɪŋ ɪn ə lʌkʃəri həʊtel wɪð ɔːl miːlz ən entəteɪnmənts ɪŋkluːdɪd. ən əz wel əz ðæt, məʊs mɔːnɪŋz ju weɪk ʌp ɪn ə njuː pleɪs. wɒt kʊd bi naɪsə? ɑː ʃɪp wəz ðə dʒuːəl əv ðə siːz (Jewel of the Seas), əv ðə rɔɪəl kærɪbiːən laɪn. wiː stɑːtɪd frəm hærɪdʒ (Harwich), ə siːpɔːt wɪtʃ aɪ hædnt vɪzɪtɪd sɪns ðə deɪz wen ðə prɪnsɪpl weɪ frəm lʌndən tə nɔːðn jʊərəp wəz baɪ reɪl ən siː feri. ɑː fɜːs pɔːt əv kɔːl wəz kəʊpənheɪɡən, əz tʃɑːmɪŋ əz evə. rɑːðə ðən teɪk ə peɪd ʃɔːr ɪkskɜːʃn wi meɪd ɑːr əʊn. wi wɔːkt ɪntə taʊn pɑːs ðə stætʃuː əv ðə lɪtl mɜːmeɪd ən ðə rɔɪəl pæləs, ðen əlɒŋ ðə pɪdestriənaɪzd strɔɪət (Strøget). neks keɪm stɒkhəʊm. ə swiːdɪʃ frend həd kaɪndli əɡriːd tə miːt əs ðeər ət ðə kiːsaɪd, ən wi went təɡeðə baɪ bʌs ən træm tə vɪzɪt ði əʊpən eə mjuːziːəm kʌm zuː, skænsən (Skansen). ɪn helsɪŋki ɪt wəz reɪnɪŋ. wi steɪd ɒn ðə ʃɪp. ðə fɜːðɪs pɔɪnt əv ɑː dʒɜːni wəz snt piːtəzbɜːɡ (St Petersburg, Санкт-Петербург). ə vɪzɪt tə ðə feɪməs eəmɪtɑːʒ (Hermitage, Эрмитаж) pæləs ən ɑːt ɡæləri wəz ʌnmɪsəbl, əv kɔːs, ən wiː ɔːlsəʊ tʊk ən ɪkskɜːʃn tə ðə rɔɪəl pæləs əv piːtəhɒf (Peterhof, Петергоф), wɪð ɡɑːdnz fʊl əv ðə məʊs mɑːvləs faʊntɪnz. ɒn ðen tə tælɪn (Tallinn), wɪtʃ pruːvd tə bi ðə haɪ pɔɪnt əv ðə həʊl kruːz. ɪts laɪk ə feəriteɪl taʊn wɪð pɪktʃəresk tʃɜːtʃɪz ən kɑːslz, naʊ wʌns əɡen ðə kæpɪtl əv ən ɪndipendənt estəʊniə. ɑː lɑːs stɒp wəz ɡɒθnbɜːɡ (Gothenburg, Göteborg), weər ɪt wəz reɪnɪŋ əɡen. ðə wəz wʌn mɔː deɪ ət siː, ən wi wə bæk ɪn hærɪdʒ, rilækst ən rifreʃt. ðər ə sm mɔː fəʊtəʊz hɪə.